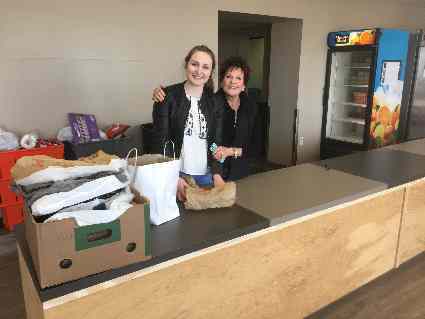 On March 21, our club met at the Lethbridge Food Bank in lieu of our regular meeting. We were put to work in 3 different areas of the Food Bank. 1. Packaging Oatmeal that our club had donated previous. 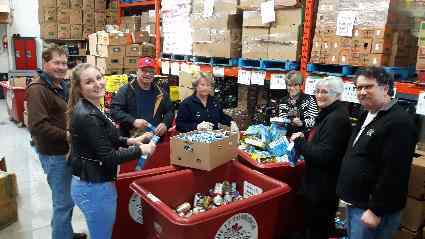 This volunteer project gave our club a better understanding of the day to day operations of the Lethbridge Food Bank. It also gave our club a chance to interact with the dedicated and friendly staff. We have gathered more knowledge of the system and its needs so we can improve our donations and projects with the Lethbridge Food Bank. For 7 years, the Rotary Club of Lethbridge East has made bulk food donations to the Lethbridge Food Bank. 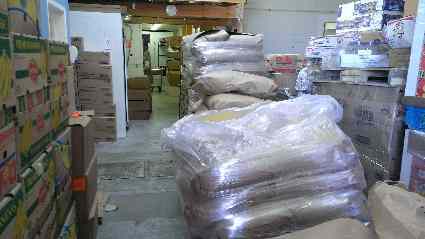 The bulk food has included: Quick Oats, Frozen Peas, Bulk Potatoes, Dry Great Northern Beans. We have worked with the Rotary Club of Lethbridge, Frito-Lay, Viterra, Bonduelle, local farmers and others to provide over 63,000 pounds of healthy economical food in the past 7 years. Below are some action shots of the Rotary Club of Lethbridge East at work. 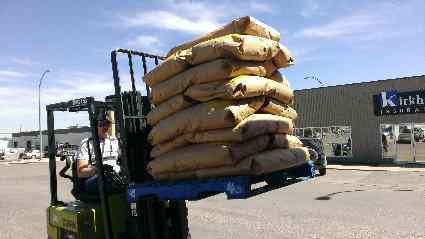 The pictures of the unloading and stacking of the pallets of Quick Oats are from previous loads of oats.